Is it possible for a man with no arms training and also a senior citizen to operate an automated gun for nearly ten minutes from the 32nd floor and kill 59 people while injuring approximately 600? While the police are still searching for the motive, here are some facts we know so far. What actually happened the night of the shooting on Sunday, October 1? It's a question that has kept everyone wondering; given the circumstances of the shooting. Stephen Paddock, a 64-year-old retired accountant, went on a shooting streak killing 59 people and leaving hundreds wounded. Stephen Paddock, a senior citizen with no physical stamina nor experienced in firearms shooting, was able to carry out the worst mass shooting in U.S. history. How? Reportedly, Paddock continuously fired for ten full minutes, according to many experts, that seems practically impossible. Even a fully trained Navy Seal would find it hard to operate a fully automated weapon for such long period. 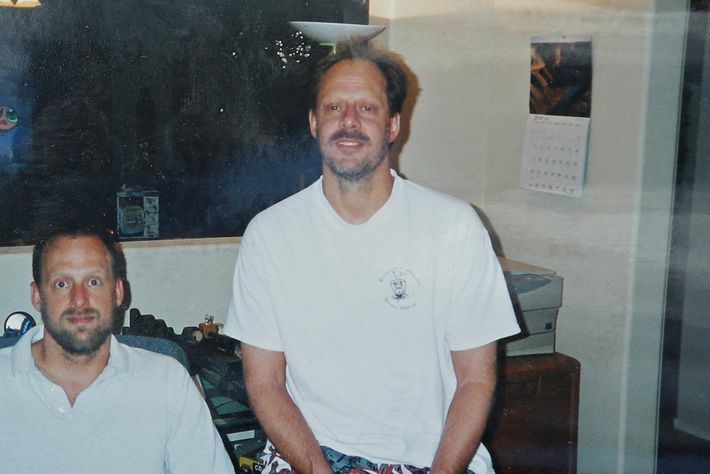 Stephen Paddock with his brother by his side. Lets lay down the facts here. Firstly, such weapons put a lot of strain on the user. One requires a lot of stamina and tremendous strength to use one. Also, such armaments need the expertise to troubleshoot as automatic arms heat up and often gets jammed. Another fact is that operating an automatic gun for such long time would fill the room with smoke and powder residues which would have made it impossible to breathe. Well, the facts speak for itself maybe the shooter was alone or maybe he had someone with him. However, late Tuesday an agent with the Bureau of Alcohol, Tobacco, Firearms, and Explosives said in a press conference that Paddock used some device called a 'bump stock' that would enable to fire hundreds of rounds per minute. What was Stephen Paddock's motive to commit such a horrific act? Who would have thought Paddock a man with no mental health issues, interest in firearms or a history of violence, would end up killing so many people. He moved around a lot and gambled in high stakes. Overall he lived a mediocre lifestyle. Maybe it is what led him to do such a horrific thing. It could be that he just wanted to go out with a bang. Till more information is found nothing can be certain.